Want to learn to swim, get faster on the bike, or run longer? Experience Triathlon can help you reach your goals. We provide private and group coaching for all aspects of endurance training such as swimming, cycling, running, triathlon, nutrition and strength conditioning.Do your first 5K run race or step up to your dream of doing a marathon or the Ironman triathlon. ET can help!! 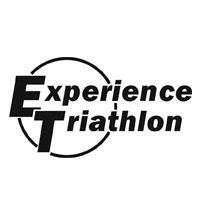 Coach Joe is a Level II USA Triathlon Certified Coach, Founder of Experience Triathlon and Race Director for the ET Batavia Triathlon & Duathlon. He is also an Ambassador for lululemon athletica. Joe played a key role for several years on the Personal Training management staff at Life Time Fitness, where he developed and coached endurance training programs for running, swimming, cycling and strength conditioning at four locations in the Chicago area. Prior to establishing Experience Triathlon, Joe held various leadership positions at IBM, Nike, The Boy Scouts of America, United Way and the Wheatland Athletic Association. Joe is an accomplished age group triathlete and runner, recently qualifying for the USAT National Championships. He has competed at all levels of the game, from 5K run racing to Ironman. Success. Coach Joe LoPresto has been notified of your message.